I sat down on the train, two laptops, a tablet, and an e-reader crammed in my purse. There was a moment of relief—I’d managed to snag a seat on a rush hour train—and then, I felt a moment of sheer terror. My purse felt unusually light despite being full of gadgets. Certainly too light for a purse containing a 15-inch laptop. Those are giant unwieldy monsters that never let you forget they’ve been packed away in your bags. But when I yanked my purse open and peered inside the relief returned. 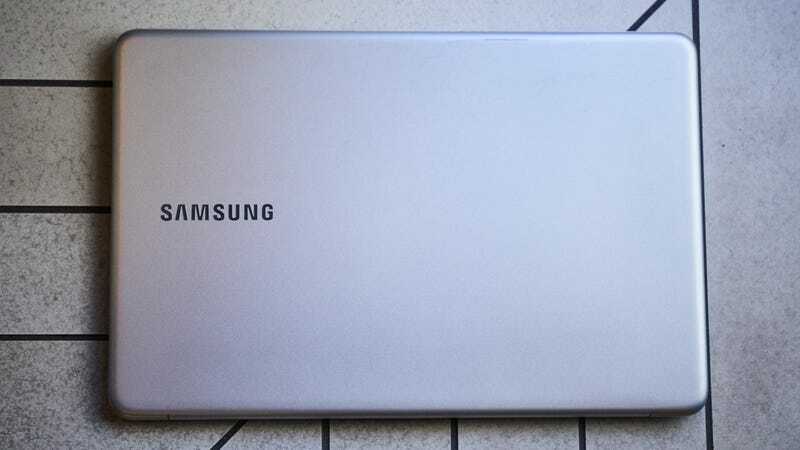 The newest 15-inch Samsung Notebook 9 was tucked away safely, so light I forgot I had it. The Notebook 9 (and I’m referring to the 15-inch version unless noted otherwise) is what the future of big laptops needs to be. It comes in two versions: The $1,250 one with 8GB of RAM I reviewed, and a $1,400 one with 16GB of RAM and an Nvidia 940MX video card. Both have Kaby Lake i7 processors, 256GB SSDs, and wide range of sweet ports (including HDMI, Ethernet, USB 3.0 and USB-C). They have the goods one would expect from a 15-inch laptop without feeling as cumbersome as a 15-inch laptop. Tossed in a purse or lost in a stack of books being carried across the apartment, the Notebook 9 feels light like a much smaller device. Editor's note: UK prices have yet to be announced. People who seek out a 15-inch laptop are an increasingly rare breed. 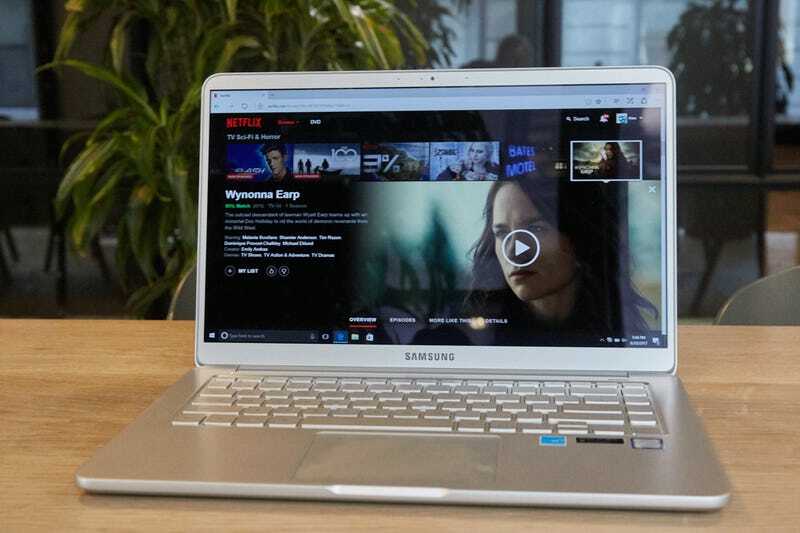 In the past, they were the de facto choice for anyone who needed a balance of power and portability, but 13-inch laptops have improved so much that the 15-inch laptop hasn’t quite felt like a necessity for almost anyone these days. It’s become the laptop you pick up because you want (or need) a big screen. The Notebook 9 doesn’t change that. Though the 15-inch shares the same 1080p resolution as the 13-inch. The display is just a couple inches larger—the same size as the 1080p display found in the Dell XPS 15, or the MacBook Pro’s 2880 x 1800 display. Colors are vibrant, even when you engage the gimmicky HDR preset that increases the contrast for more striking visuals while watching movies or gaming. As good, and big, as the display is, the laptop is still hamstrung by the greatest foible of 15-inch laptops: the size of the damn thing. Yet for people who want a larger display, a less cramped keyboard, or all those extra ports, the Notebook 9 feels like a great blend of what makes the 13-inch and 15-inch laptops so appealing individually. 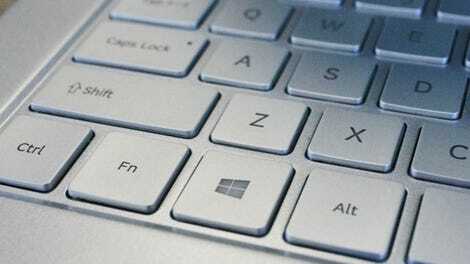 As I’ve noted, chief among the qualities the 15-incher borrows from 13-inch laptops: It’s light. While my friends and coworkers were rightfully put off by its big, bulky looking exterior, their eyes bulged with wonder when I actually put this laptop in their hands. It only weighs, depending on configuration, 2.6-2.73 pounds! Both the Dell XPS 15 and the 15-inch MacBook Pro weigh 4 pounds. According to Laptop Mag, the average 13-inch laptop clocks in at 3.2 pounds. That means this thing isn’t just light for its size, it’s one of the lighter laptops you can buy right now, regardless of size. Unfortunately, the 15-inch Notebook 9 also borrowed its fit and finish from its smaller sibling. While the 13-inch Notebook 9 feels sleek and almost refreshingly affordable with its plasticky finish, it just feels cheap on a larger, thicker machine. As with other 15-inch laptops, the battery life is only okay. The battery on the 15-inch is just 1200mAh larger than the one on the 13-inch, and only ekes out about five or six hours of battery life with regular use. If you really need a 15-inch laptop — if 13 inches just feels too cramped and tiny, then the Notebook 9 excels. It ain’t pretty, but it gets the job done without bogging you down. Seriously, this is the lightest 15-inch laptop you might get your hands on. If you really need a 15 inch laptop than this should probably be on your shortlist. HSBC, First Direct, and M&S. 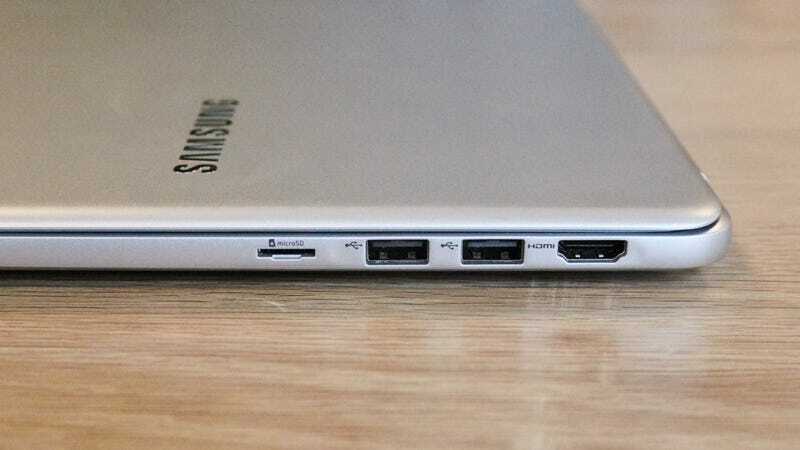 Even in a Microsoft-free world the Samsung Galaxy Book would be a frustrating device. Sadly you still can't use it with your old 3310.